Glow in the Dark Dance Party! 21sep7:30 pm10:00 pmGlow in the Dark Dance Party! 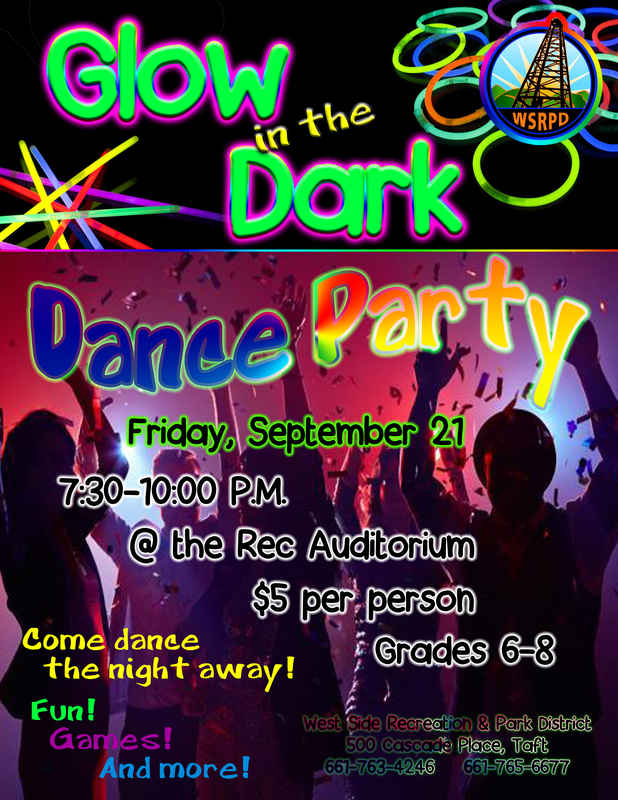 Come dance the night away and join us on Friday, September 21 from 7:30 – 10:00 pm for a Glow in the Dark Dance Party!